It is with great saddness that I write this news....Maura was a great lady in every sense of the word. My family and I were very blessed to know her. The island was special to me and my family because Maura was there. My only regret is that we did not have more time with you Maura. Bless you Maura, your spirit lives on. You were a great teacher, not just your words but also your actions. We love you and we will miss you in our lives however you will always be in our hearts. The popular Vic McCarty Show will be broadcast live from Beaver Island on Monday March 12. The show airs from 10 AM until noon on WMKT 1270 AM. McCarty will do the show live from the Shanoule Bed & Breakfast owned by Bob and Joan Banville. McCarty will spend the weekend on the Island filming the final scenes for a Beaver Island documentary film slated to air on PBS stations. A special sneak preview of the film will be shown at the Citizen of the Year banquet April 28th at Nina's. The Chamber of Commerce and cooperating members provides complementary services to members of the media like McCarty as part of the organization's ongoing marketing plan. Nearly every Chamber of Commerce in the country has some kind of annual awards program. Many offer several awards and they go by a variety of names but have one thing in common. Nominations come from a “select members committee” or some other board or small committee. Broad participation isn't generally welcome. Here on Beaver Island we do it differently. Community participation is a key to our unique program. Your Chamber solicits, in fact needs, nominations from the whole community. You don't have to be a Chamber of Commerce member or business owner to make a nomination, attend the awards banquet or win the award. We welcome everyone to participate. The chamber board will select a winner(s) from the nominations received by April 6 th . The awards banquet will be held at Nina's on April 28 th . Put it on you calendar and plan to attend. A complete meal with a choice of three entrees is only $19.95. Everyone is welcome to enjoy a great meal, friendship and the awards presentation. I'll bet you can think of deserving individual, couple or organization that deserves to be Citizen of the Year. To get a “nomination package” simply call, write or email the Chamber: 231 448-2505, PO Box 5 , Beaver Island , Mi. 49782 or chamber@biip.net . Or go to www.beaverisland.org to download a form. A nomination is just a couple of paragraphs. You can do it in a few minutes. Participate in the Citizen of the Year selection process. 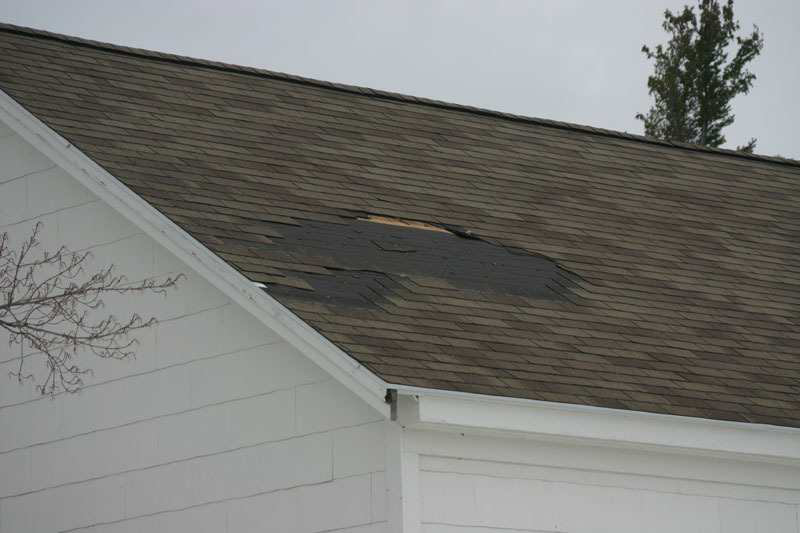 I don't think that Beaver Island will have a complete assessment of the damage done during this storm until well into August of 2007 when most of the summer residents will have returned to check out their cottages. I know that a tree was blown down across the road down the East Side Drive which caused quite a little bit of frustration for the Road Commision men, the firemen, and our EMS providers, but that was only one of many trees that were blown down. 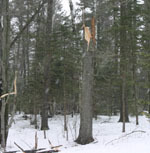 Most of those blown down are not visible from the roadway. Some came down in the silence of the state forest. Some came down in the yards of our summer residents. 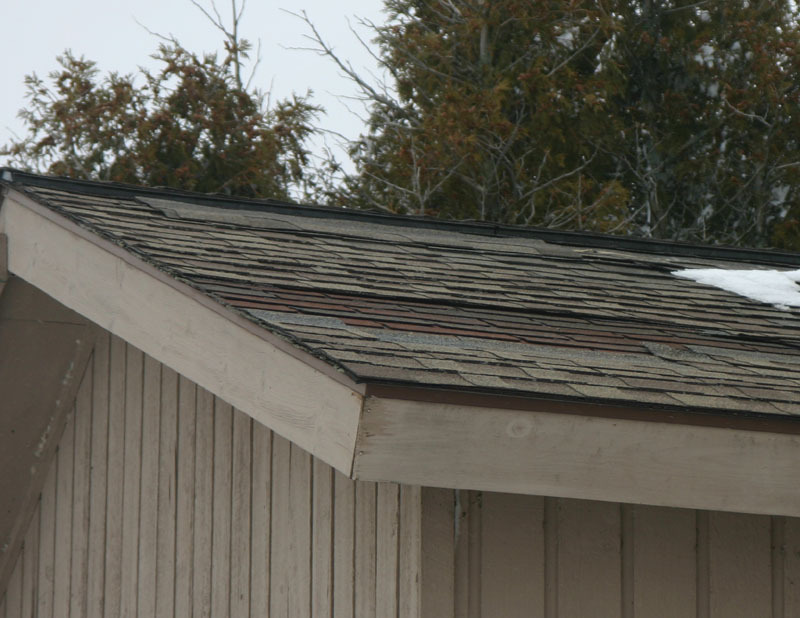 Some came down on top of the roofs of our summer residents. 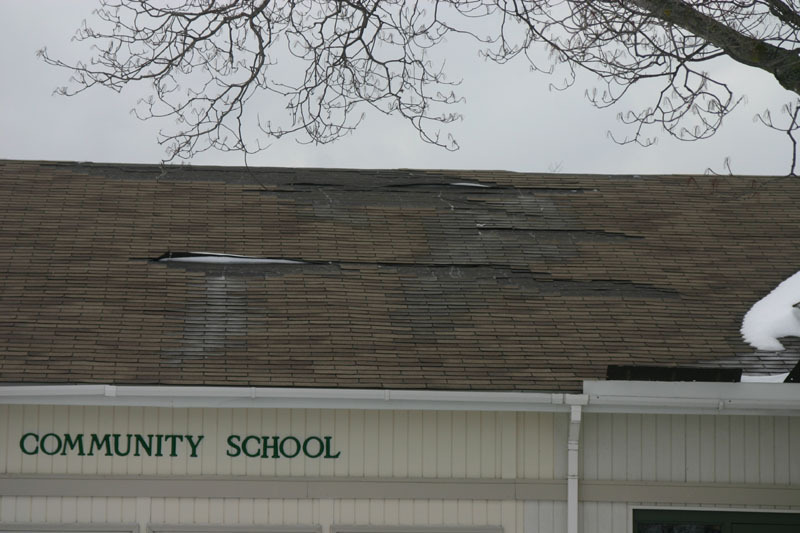 Throughout the harbor area, if you drive around the harbor, you will see shingles blown off of the roofs of many buildings including the school, the Fitzpatrick home, the Emerald Isle Motel, and the Community House. On the south side of the harbor, I haven't identified whose home it is, but there are lots of shingles blown off that home. 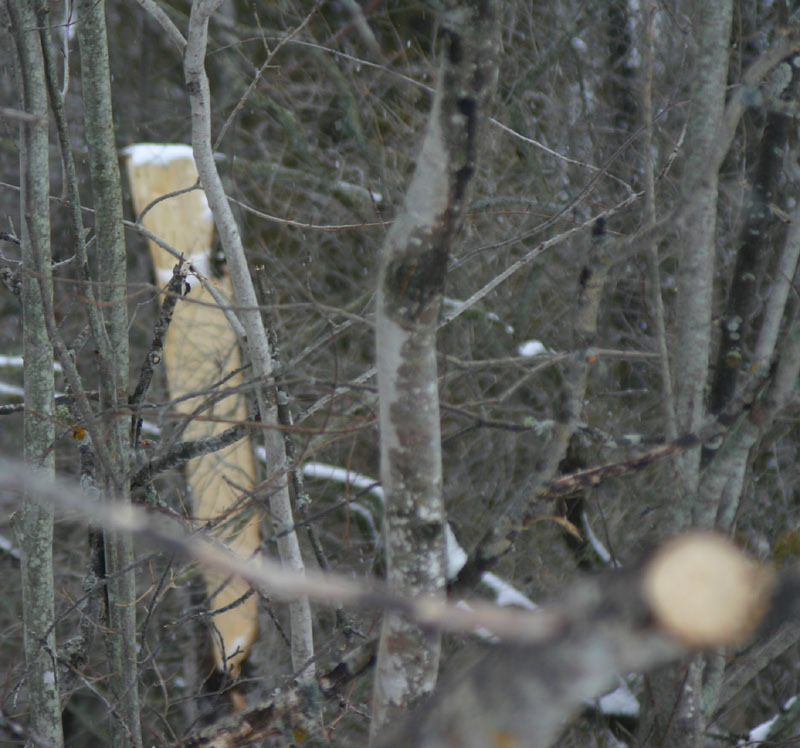 Throughout the whole storm the wildlife managed to take shelter and were probably smarter than their human counterparts in that they stayed put in the protected areas when necessary. I was on the mainland for a meeting for the Beaver Island Community School Allied Health program. The meeting was in Boyne City at the Char-Em ISD Materials Center, located in the old Big Boy building past the high school, and was driving back to Charlevoix trying my best to keep the Dodge Stratus on the road. The wind was gusting upwards of 45 miles per hour, and it was difficult to keep the car on the winding road that runs from Boyne City to Charlevoix. When I got to the airport in Charlevoix, there were a few brave souls willing to wait to see if the 4:30 flight would go to the Island. I decided that, even if it did fly back to the Island, I didn't want to be on that plane. The weatherman on the radio said the wind was gusting from 45-54 miles per hour in the area. I went back to the Weathervane to spend another night to let the wind calm down. I was told that this flight did take place, and that the flight from Charlevoix to the shores of Beaver Island took about nine minutes because of the tailwind. I'm glad I wasn't on that flight because they probably would have had a real mess to clean up if I had been. 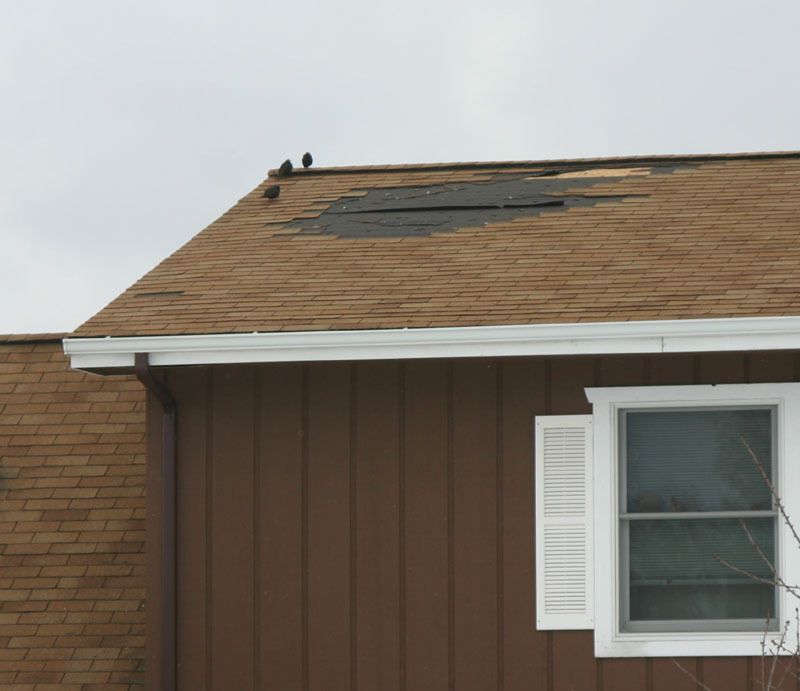 I have taken quite a few pictures of the damage and the wildlife. I hope you enjoy them from a warm and cozy spot. 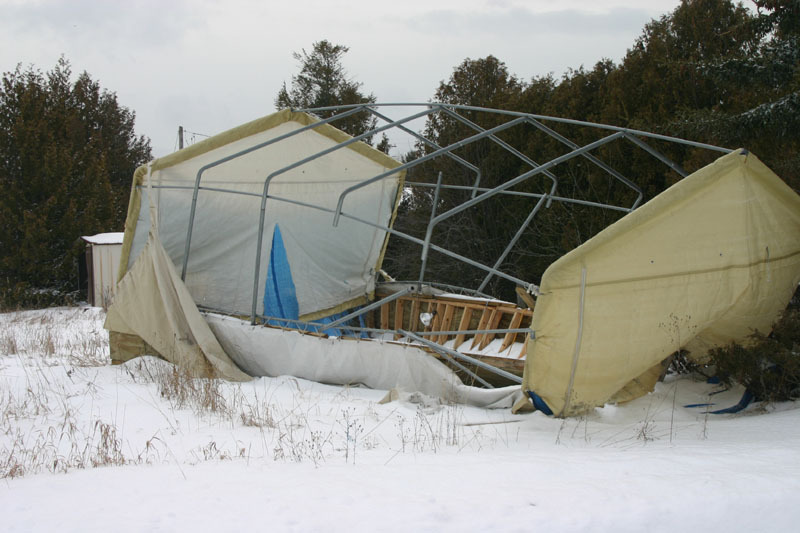 As you can see from the picture (above right), the wind decimated the tent structure used to house the BIEMS Emergency Response vehicle besides doing damage to several roofs. 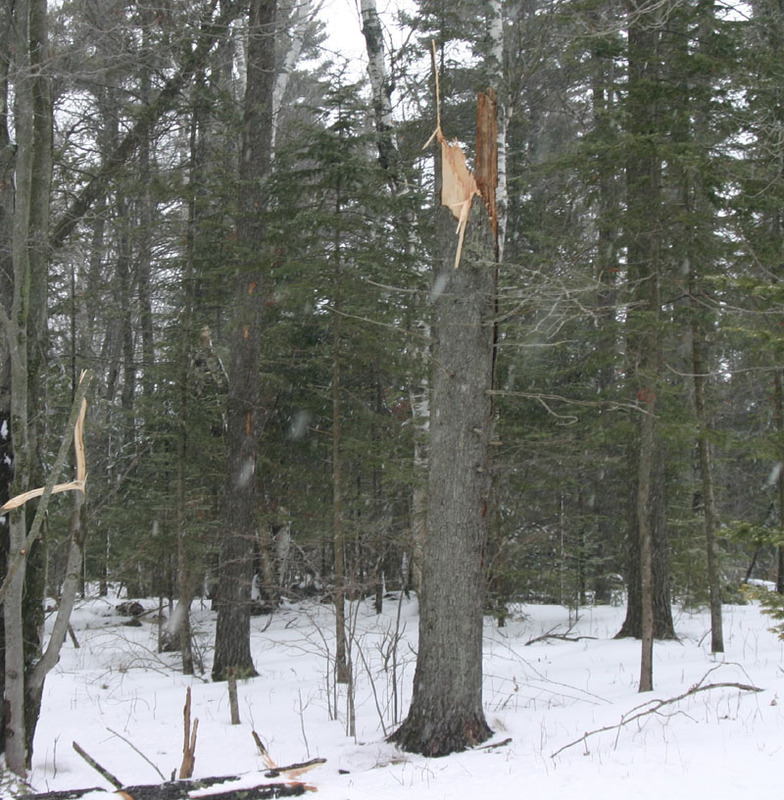 The broken trees above were only a few of the problems caused by the howling wind.